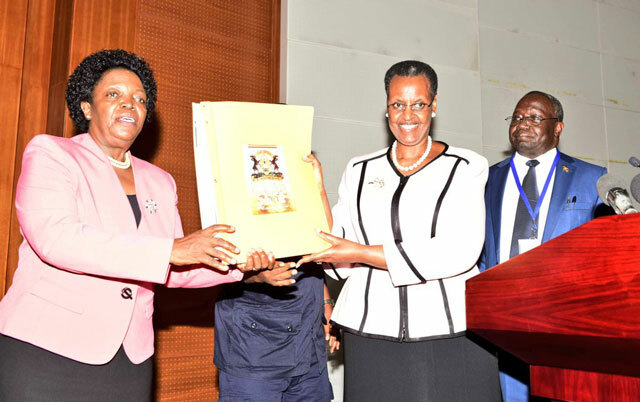 KAMPALA – There was a notable improvement in performance of Primary Leaving Examinations for the year 2018, the Uganda National Examinations Board has said. Overall performance improved, with 77,133 students in Division one and 91 percent candidates qualifying for a certificate. A total of 671,923 candidates registered to sit PLE at 13,072 centres across the country compared to 646,041 from 12, 751 centres in 2017. This is an increase of 25,882 (3.9) candidates. At least 71% (476,131) of the candidates who sat for the examinations, are from government-aided schools, while 29% (195,792) are from private ones. In terms of gender, males performed better than females, with about 41,000 (About 13 percent) coming in Division One and 10 percent (about 35,000) of girls coming in Division One. Performance by subject, English, Social Studies and Science registered improved performance. However, Maths performance declined. There was general improvement in handwriting across all the subjects. In terms of gender, 48.3 percent boys sat the exams and 51.7 percent girls.